One storey beach home – the low level and timber frame of this building in Canada enables it to superbly blend into the wooded surroundings. It has a very welcoming atmosphere as the timber walls open up the heart of the building. The cladded areas provide privacy while the large windows let in lots of natural light. The combination of materials cleverly allows it to be cool in the summer and able to distribute heat in the winter months. Recycled Timber House – this home in Gloucestershire is made from fallen timber from the local area. It creates such fascinating lines and shapes which is something that can be achieved with wood. The builders wanted to show what could be possible using imprecise materials. Japan of Every Era – this is a timber cladded house in Oslo, Norway and represents how you can tell a story by using timber. The building features different representations of Japan through the ages and can cover all of these designs in just one house. This is the perfect example of how flexible timber can be when used in construction. If you’re interested in the possibility of building with this material, take a look at a timber frame construction company. For more information, visit http://www.qtfhomes.co.uk/. 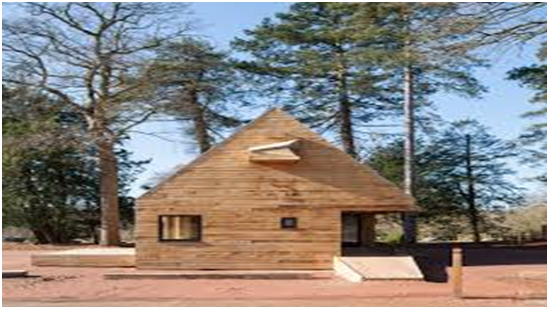 Wooden houses are very popular and modern looking and can be designed just like a normal house, small or large. There are many contemporary designs which can look like a luxury residence or even a wooden villa. Blackened timber is another modern style and a lovely example can be seen in Austria. It stands as a perfect example of how timber can be used for both internal and external design features. The contrast is defined between the dark exterior and the very light internal timber. Reclaimed timber can be very cleverly used instead of it going to waste. Some barns have been made using reclaimed materials from agricultural buildings that are being demolished. It creates a wonderfully simple yet powerful look and gives the building real character and depth. Using natural materials in recycling creates a home that stays very much in sync with it’s natural environment and is aesthetically more attractive as it blends in with the nature surrounding it. There are many types of timber species to choose from and finding old timber to upcycle gives real character. Softwoods are easy to work with but will need more treatment and staining. Hardwoods give a lovely natural finish and make beautiful colours as they age.